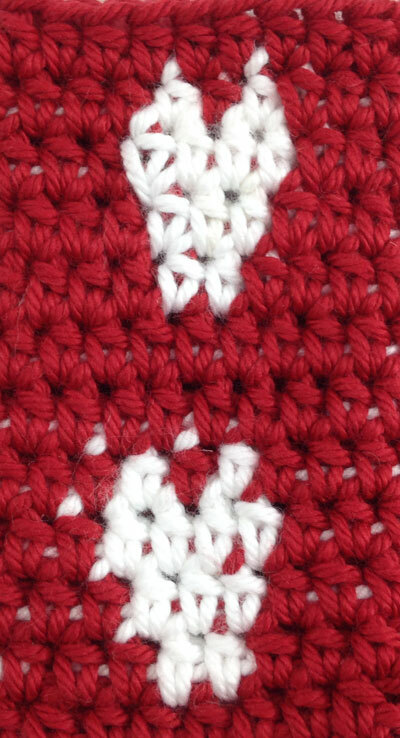 This pattern is written using UK crochet terminology and will work with any DK yarn. 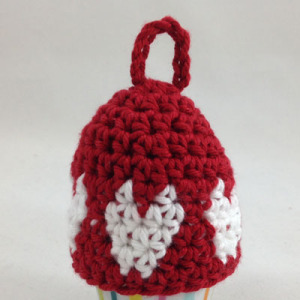 Chain 2 (counts as 1st htr), 1htr, join White yarn but do not fasten off Red, catch the yarn you aren’t using and allow it to ‘travel’ along the work so you can use it when needed, using White make 1htr, switch back to Red and make 1htr, using White make 1 htr, [using Red make 1htr in next 2 stitches, using White make 1htr, using Red make 1htr, using White make 1htr] repeat to end, join to top of chain 2 with a slip stitch. 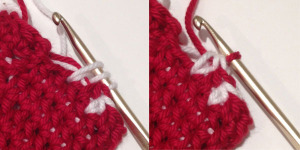 Using Red, chain 2 (counts as 1st htr), 1htr, using White make 1htr in the next 4 stitches, [using Red make 1htr, using White make 1 htr in the next 4 stitches}, repeat to end, join to top of chain 2 with a slip stitch. 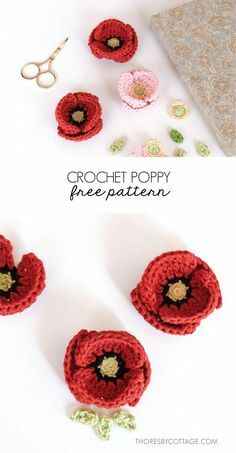 Using Red, chain 2 (counts as 1st htr), 1htr, using White make 1htr in the next 3 stitches, [using Red make 1htr in the next 2 stitches, using White make 1 htr in the next 3 stitches}, repeat to end, join to top of chain 2 with a slip stitch. Using Red, chain 2 (counts as 1st htr), make1htr in the next 3 stitches, using White make 1htr in the next 2 stitches, [using Red make 1htr in the next 3 stitches, using White make 1 htr in the next 2 stitches}, repeat to end, join to top of chain 2 with a slip stitch.. Fasten off White. Chain 8 and fasten off. Sew both ends of chain to top of cosy securely. Working with colour top tip! The heart on the top was made working the stitch half and half and the bottom heart was made making the stitch from a single colour. 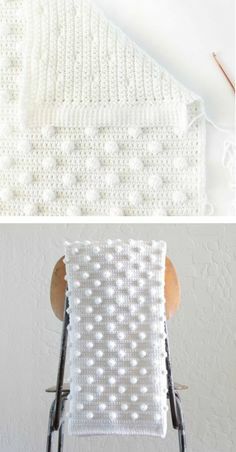 It makes a subtle difference but I think it is worth it on a pattern worked in the round. 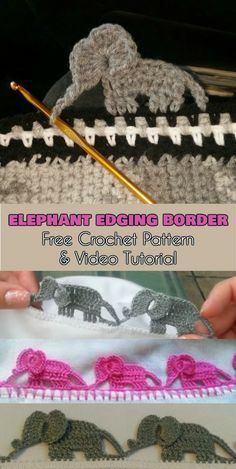 I don’t use this technique if the item is going to be ‘double sided’ like a blanket as it doesn’t give as tidy a ‘back’ as when just working a stitch in each colour. 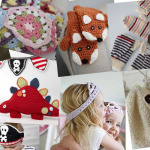 If you make something from one of my patterns or adapt one of them I would love to see it. I really enjoy seeing what people can do with them! 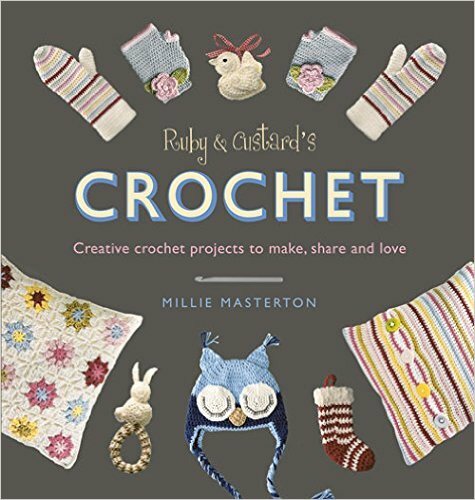 Please do email me at millie@rubyandcustard.com. Also, if you have any questions please get in touch and I will try to help! 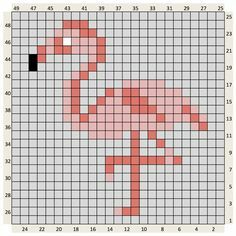 Like this pattern? 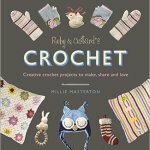 Buy the Ruby and Custard Crochet book! 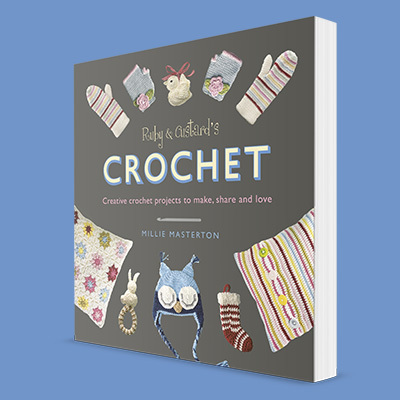 Available on Amazon and in all good book shops!